10 Ways to Turn Your Room Hippie Chic! Hey there, wild thing. Have you always dreamed of living in a hippie commune – a place where you could let your hair down, create strands of love beads, and meditate to chants of “Hari Om?” Even if you haven’t, we are offering 10 tips on how to turn your pad into the ultimate flower child palace. Shag carpeting has always been a staple of hippie culture. It has been a hit ever since it was created and has been popular ever since. You can find all types of shag rugs at www.justshagrugs.com, with prices varying by size and brand. Hippie Tip: Get groovy colors like burnt orange or lime green! No authentic hippie room is complete without some great retro lighting. You can get some really cool lamps at www.meteorlights.com. Hippie Tip: Try looking for vintage lava lamps and other light fixtures at garage sales. It’s so much more authentic to have the real thing. Tie-Dying clothing and other fabrics was HUGE in the hippie days! Better yet, it’s extremely simple to tie-dye any fabric you want. Learn how to tie-dye like a pro by visiting www.pburch.net. Hippie Tip: Instead of buying or making your own tie-dye comforter, try a wall tapestry; that will allow you to do more, color-wise, in your room. This one is VERY authentic. If you don’t want your room looking tacky, hang these up for an original 60s vibe. 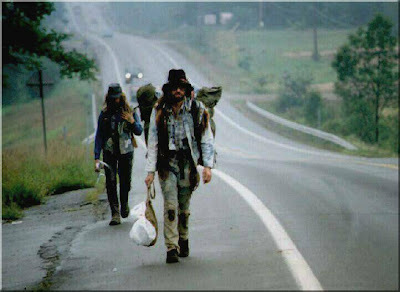 While being colorful, hippies were also very earth-conscious. These hangers were representative of that. You can pick up these knotted planters at www.leprechaunsgarden.com. Hippie Tip: Place spider plants in the macramé planters. This was very big during that time. It was well known in the 60s that hippies weren’t the wealthiest of people. So, when the lights shut off, candles were lit. You can find some great retro candles by visiting www.oldhippiecandles.com. Hippie Tip: Try burning incense or scented candles! Having your favorite rock stars all over your wall was a popular way of self-expression back in the 60s. You can find over 50,000 posters at www.allposters.com. Hippie Tip: Hang posters along with other art pieces such as paintings and tapestry to really show your creative side. Wooden and glass beaded curtains for doors are still popular today, with hundreds upon hundreds of designs to choose from! Head over to www.thebeadedcurtain.com. Hippie Tip: For a more updated retro look, use glass and plastic. For an authentic look, use real wood. Having friends over? Buy some bean bag chairs for seating! For a large selection, go to www.thebeanbagchairoutlet.com. Hippie Tip: Buy an extra large bean bag chair so your friends can fit too! Looking for shelves or ottomans? Rattan is a sure way to give your room a retro look and you can get them at rattanland.com. Hippie Tip: They even sell Rattan floor lamps! They may have not been a best friend like your dog, but these everlasting pets were all the rage. Hippie Tip: Original pet rocks are extremely hard to come by and aren’t sold in stores! 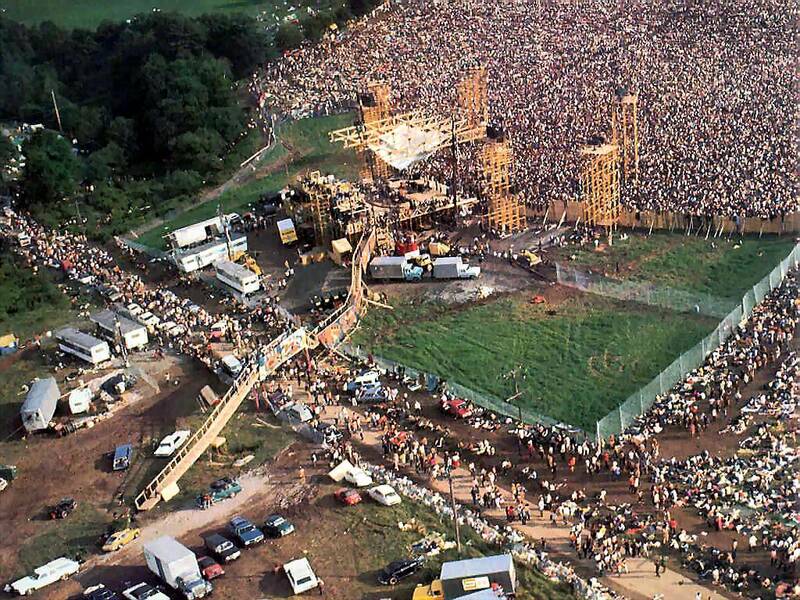 The Woodstock Festival has become a rock staple ever since its first concert, which was held from August 15 to August 18, 1969. An astounding 32 musicians (such as Grateful Dead, Janis Joplin, The Who, Jefferson Airplane, Jimi Hendrix, and many more) performed at what is considered by many to be the best concert in history. To commemorate Woodstock’s 40th anniversary, Equal4All is dedicating the whole month of August to the beloved festival. Activities in memorial of the first festival will sure be held all over the world. One, specifically, that is being held in Kent (UK), will welcome two people that participated in the original festival: Robin Williamson of The Incredible String Band and Barry Melton of Country Joe and the Fish. Within the next few weeks, E4A will showcase music from the swinging 60s, share 10 tips on how to turn any room into an authentic hippie pad, and offer many other groovy articles sure to bring out the flower child in all of you. Stay Tuned!